"They are scattered and disaggregated, but there is leadership, there are fighters there, there are assistants there," General Joseph Wothel told reporters traveling with him to the Middle East on his farewell tour. Votel's comments highlight the testimony of Director of National Intelligence Dan Coats before Congress, whose assessment Donald Trump's publicly disagreed. Syria, where ISIS is still in control of the territory. 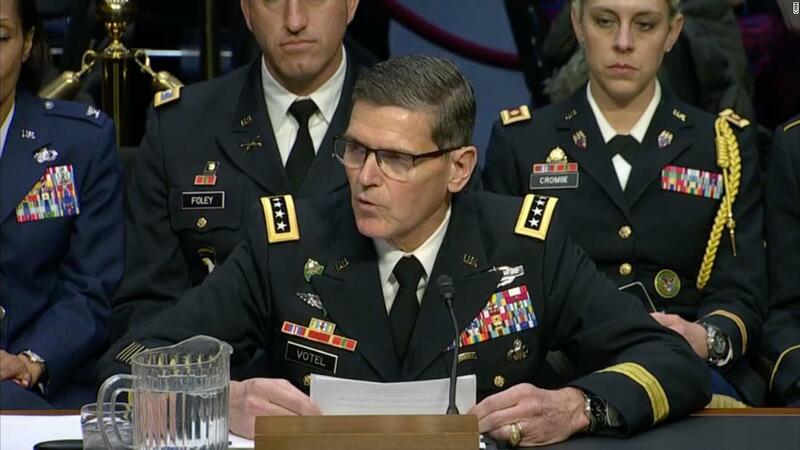 "I am very proud of the team of coalition forces that we have on earth who help our Syrian democratic partners in what will be a tough struggle," Votel said. "Urban areas, the high density of the explosive danger in the area, as well as the presence of displaced persons and others trying to leave the area." and now. American officials believe that dispatched guerrillas may be in a wide position in the Syrian desert. "The orders of the President are very understandable to us, and we understand what he was managing," said Voltel. However, he also notes that US troops will also continue to seek ways to preserve pressure on ISIS and support SDF without ground troops inside Syria. He declined to offer specifics of how this could be achieved. These comments came when Votel began a two-week farewell tour before withdrawing from the post of head of the Central Command of the United States. His trip, just when the US begins to plan to withdraw troops from Syria, will include meetings with foreign leaders to thank them for their support. Votel is released after 39 years with the US Army. Katie Bernard of CNN contributed to this report.